Welcome to the official home site of Berkshire Barks Pet Sitting, a friendly and professional pet sitting service nestled in the Berkshire Mountains of western Massachusetts. We specialize in providing dog walks, full service pet sitting and pet taxi for your pets. In-home pet sitting is viewed by vets as the best choice when owners are away – and don’t your pets deserve the best? Also, be sure to check out the miscellaneous services also offered to help manage your busy schedule. Whether you are on vacation, travel for business, or it’s just another day at the office, Berkshire Barks Pet Sitting will be there to feed, water, walk, play, hug and administer basic medications to your pets, all from the comfort and convenience of your own home. You will have peace of mind, knowing that your pets are receiving plenty of love and attention, and your home is being checked in on, each day in your absence. We provide care for all animals, big or small, feathers or fins. No more need to ask friends, family and neighbors for pet care help. Save yourself the time, hassle, and gas of taking your pet to the kennel, waiting to be checked in, and then wonder about the kind of conditions they are in while you are gone. 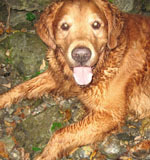 With Berkshire Barks Pet Sitting, when you return your pet is home waiting for you safe, sound and happy. No need to drive again to go pick them up. Plus, at a kennel, if you don’t pick up your pet by a specific time you will have to pay for a whole day of boarding! And you won’t have to worry about your pet being exposed to other animals that may be sick. Berkshire Barks Pet Sitting is insured for your protection and all services are provided with the upmost concern for the well being of your pets, so you can feel confident your companions are receiving proper care and attention. Pet sitters and dog walkers provide personalized one-on-one care for your pets specific to their unique needs. Isn’t it nice to know that even with your hectic lifestyle, you can provide your pet with exercise, potty breaks, and companionship when your day gets long due to meetings, emergencies, or other setbacks with your time. It’s good to know you can call on your dependable pet care professional! Service areas are Northern Berkshire County in Massachusetts, including North Adams, Williamstown, Adams,and Cheshire. Other areas considered based on availability.